We were totally thrilled of our Cuba trip. Well, afterwards. During the trip it was a bit exhausting. The infrastructure for backpackers was better than we thought. But, of course, not as perfect as in Thailand for example. 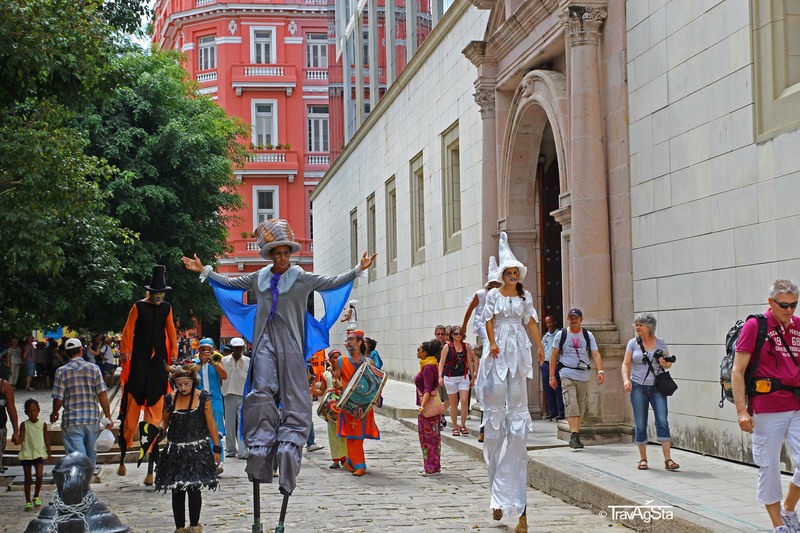 This city offers you everything: At the beginning the capitol of Cuba triggers excitement, while you would like to go back home the next moment. 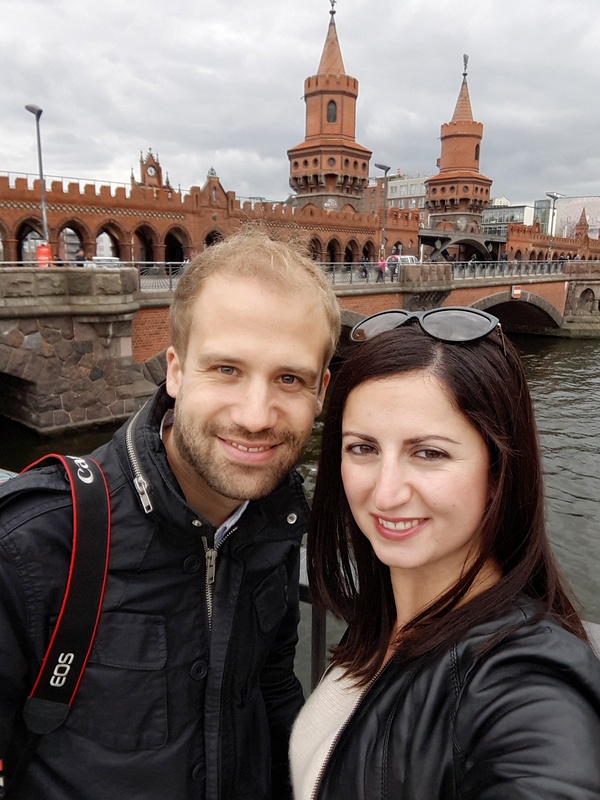 During our stay here, we felt a bit overwhelmed by everything. Add jetlag and heat to it and you know what I mean. You feel very disgusting because of the dirt and the dust, which sticks very well on your skin when it’s that hot. Sometimes my eyes hurt so bad, not used to pollution caused by 60 years old cars. Sometimes it smelled bestial. And locals tried to sell you everything by telling you anything. We were afraid, the building next to us could tumble down any moment. You wonder why there is a chocolate museum and how it fits here. Not that we weren’t happy about that. Nobody is stealing here. The police is everywhere, observing everything. And then you hear the heartily laugh of an old woman, the too noisy vintage cars, the music, women on the street gossiping. The smell of good cigars, when passing by old men. Sometimes they played chess. 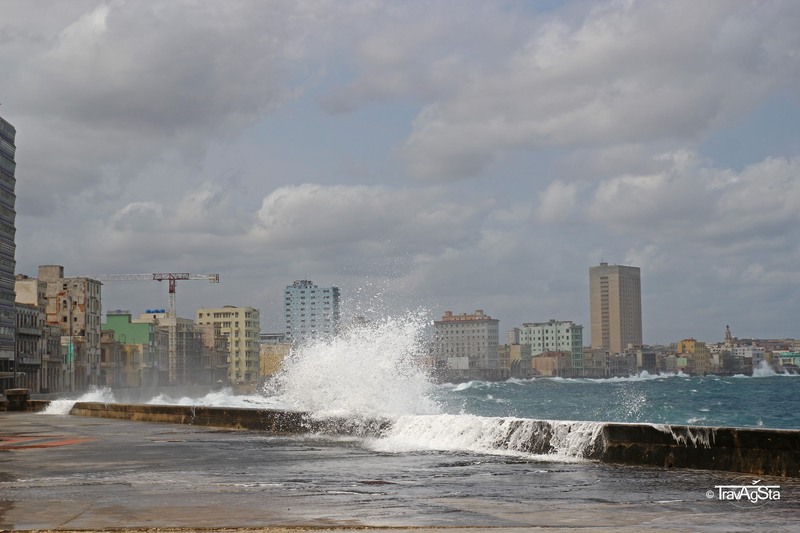 The sound of the Malecón, when the water smashes against it. 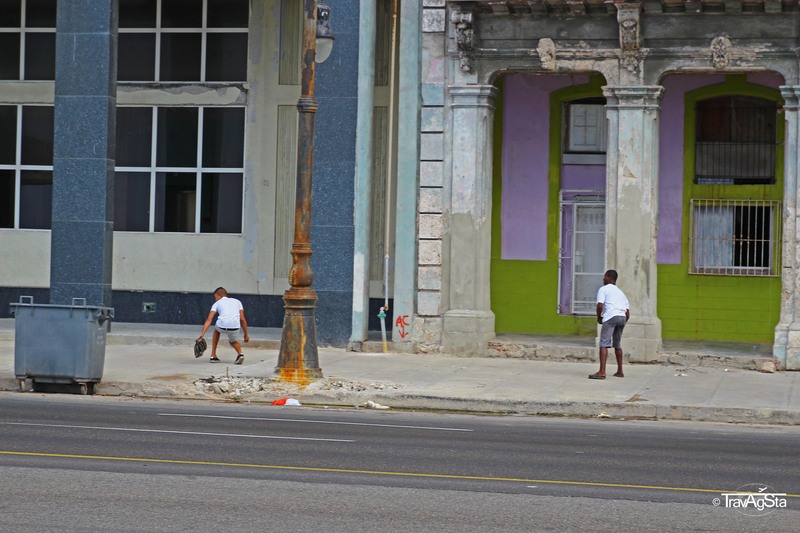 Children, playing Baseball on very busy streets. By the way: That’s the national sport here in Cuba. The smell of bean dishes is in the air. The omnipresence of poverty, but at the same time satisfaction with their situation. Excited Europeans, usually walking around in tourist groups. Wherever you’ll go, you will hear “Chan, Chan” by Buena Vista Social Club. Meanwhile, we can listen again to their beautiful songs. At some time we couldn’t stand hearing the same song over and over again. 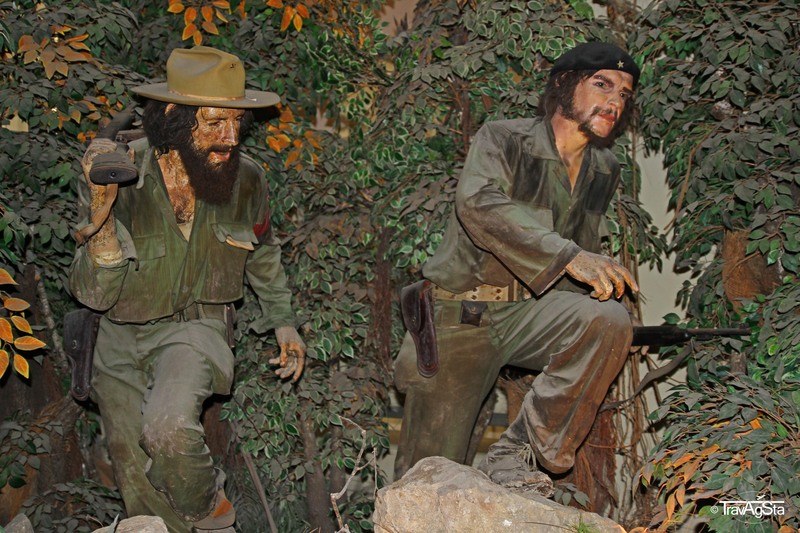 People coming to Cuba should definitely learn something about the country’s history and political situation before the trip. If not, please just choose another island for your next trip. At first, you should keep your personal opinion to yourself as otherwise people would avoid talking to you. 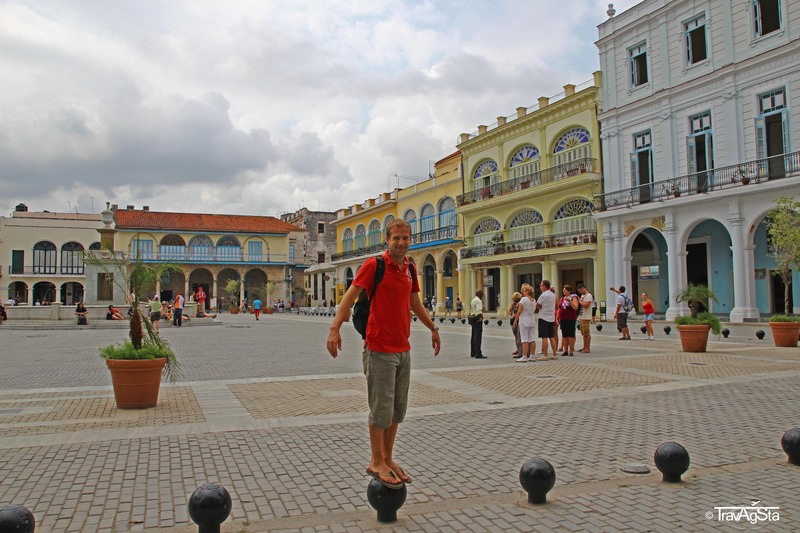 The younger they are, the more they’re willing to talk about their life in Cuba. Maybe because they’re interested in our lives as well. We had some “different world” feeling over there. And now hang on: They’re totally satisfied with their lives. They’d like to have more freedom, for example travelling like we do. Maybe going to a concert of a famous pop star. What about the Regime? Nobody answers that question directly. They’re like: It’s worse in the US. Nobody wanted a complete change. In our first world countries, our media usually draws a picture of Cuba like being total hell on earth, because they’re socialists. Well, actually first they’re human beings. Nobody wants consumer terrorism over there. Definitely no McDonalds. And Starbucks? They’re sure, it cannot be as good as Cuban coffee. As we tried both, we think they’re right. While there, I always had that one question popping into my mind: What if? 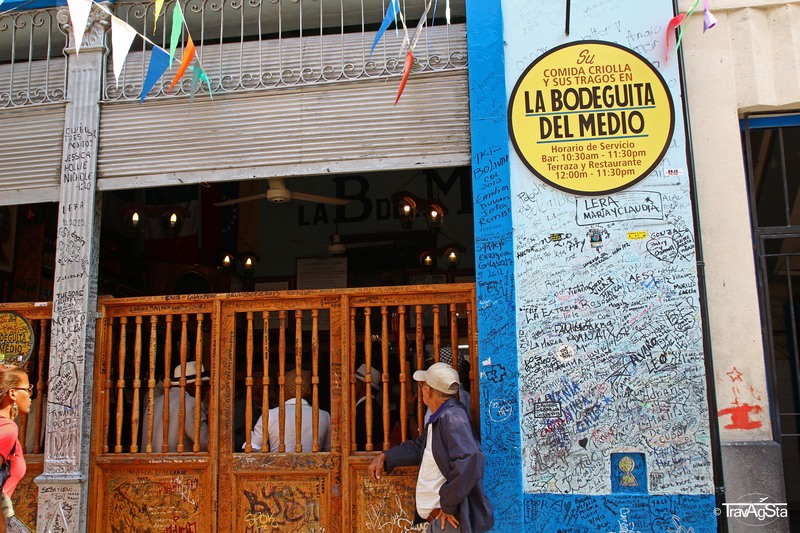 What if there was no trade embargo? What if people fleeing to the US weren’t still full of hate? What if the organisation and distribution of governmental goods would function? 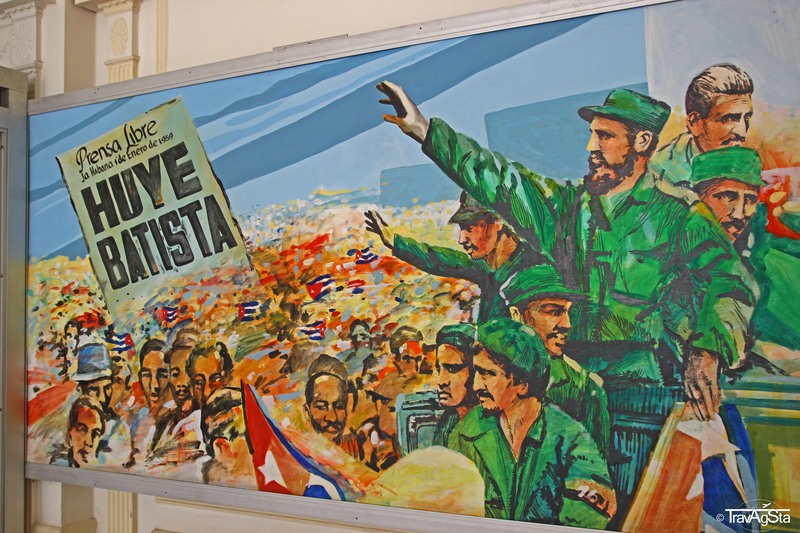 Could Cuba have managed to be a real socialist state by today? Regarding the circumstances, it worked quiet well. At the same time, we felt the spirit of change. Everybody knows the country will change. They put a huge effort in extending tourism, a perfect way to bring more of the devices the country so urgently needs. Everybody wants to earn a pie of this change. The government clearly has no money to renovate all the old buildings. They just put money in the touristy areas. 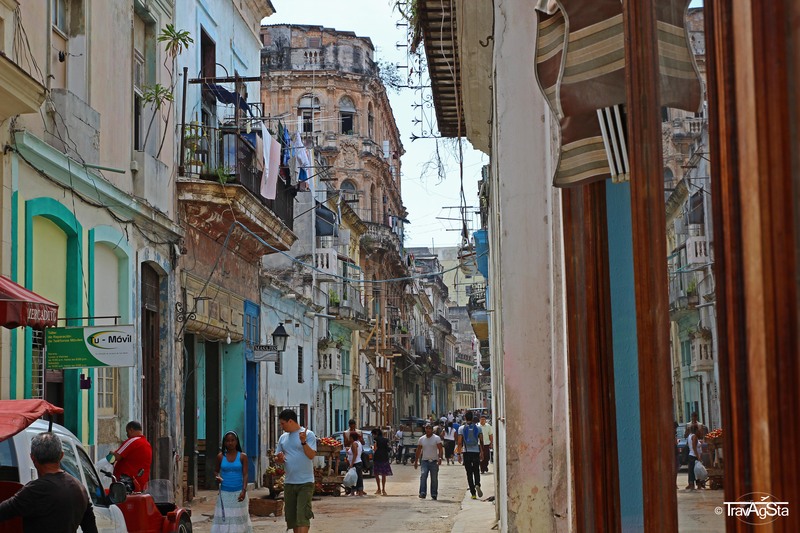 The lack of everything is a constant state in Cuba. But nobody starves. Basic medical care, basic food and living are almost for free. 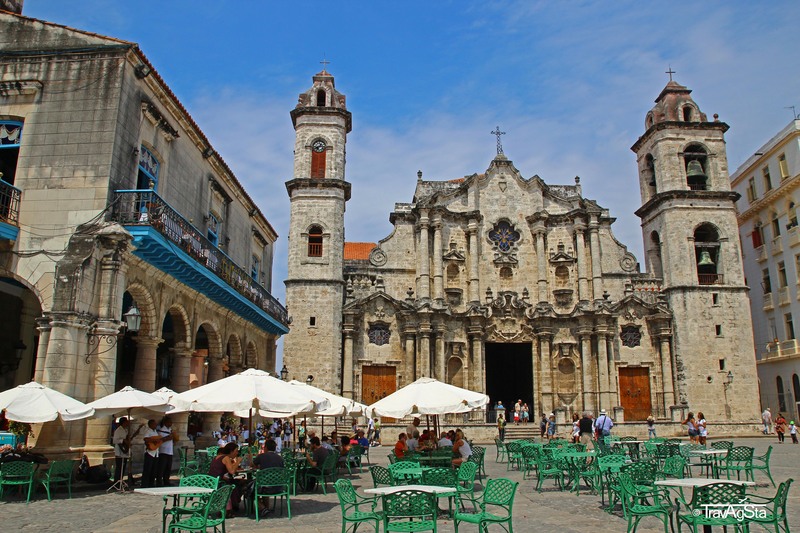 Americans and Canadians are popular among Cubans – they tip well. And yes: Despite the embargo, there are Americans here, travelling the country (they come from Mexico or Canada or making an educational journey). Germans and Scandinavians are also very popular – they’re reliable. We got all the information from very communicative people like our drivers, landladies etc. People don’t avoid contact. Kiss to the left, kiss to the right – like it or not, but you will always feel welcome. Regarding tourism there is already some kind of relaxation. It’s strictly controlled, but everybody with an available room in his house can rent it as a “casa particular”. We used them and were content with almost every one of them. 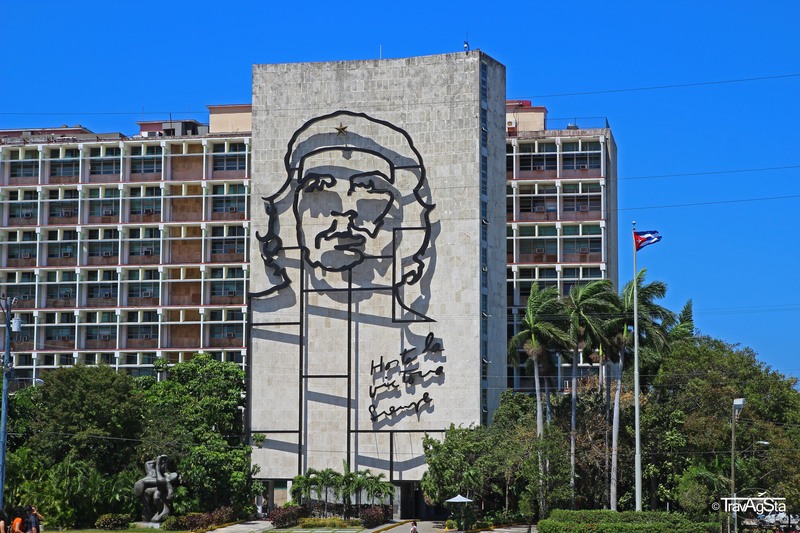 If you want to see socialism in Cuba, you should do it now. 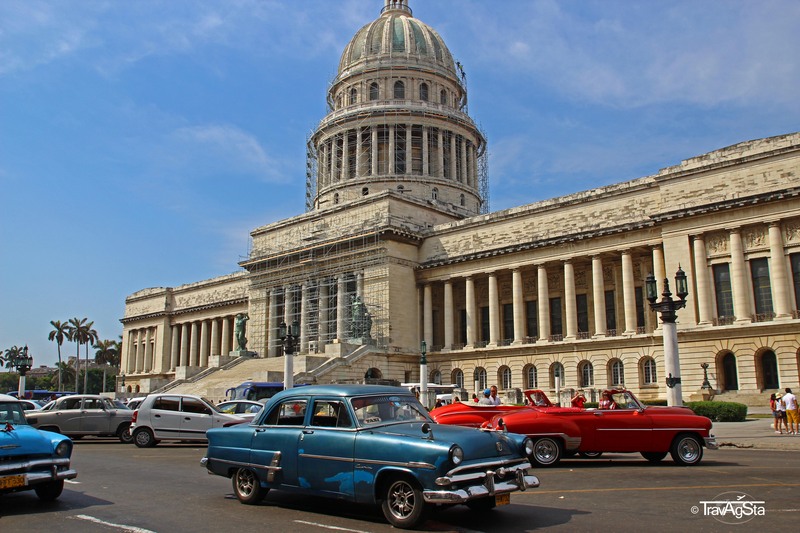 As soon as the embargo will be reversed – and that’s going to happen for sure – Cuba will extremely change. 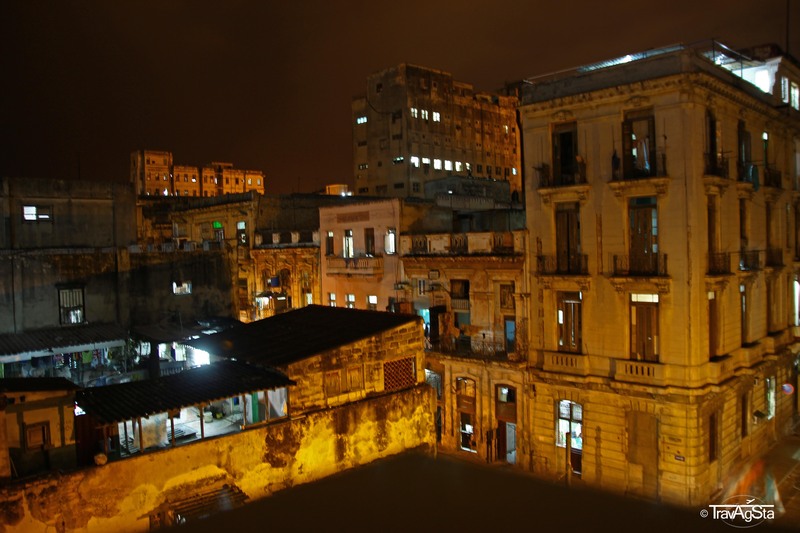 Still a trip to Cuba can be the trip of your life. Itinerary for one week in the northwest of France – Brittany and the Loire Valley!